PCGB members are on the road to fuel savings with the Esso Card™. Esso Card™ fuel cards are now available for all members and they’re completely free! Take advantage of a whole host of benefits, including discounted fuel prices on Esso Synergy fuels. And, for a limited time only, you can make even greater savings with our latest promotional offer, so order your Esso Card™ fuel card today. What exactly is the Esso Card™ fuel card and how does it work? Fill up any of your household vehicles at an Esso filling station and swipe your Esso Card™ fuel card at the cashier desk. No money will be debited from your account at this stage. You’ll receive your invoice for any transactions completed that week the following week. 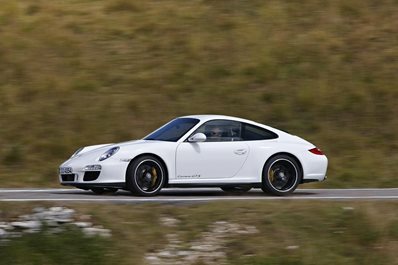 This invoice, which is sent via email, will show you how much you have spent on fuel at your discounted Porsche Club GB rate. The amount shown on the invoice will be taken by direct debit seven days after receiving it. If your card is not used, no money will be debited from your account. Why should you apply for your free Esso Card™ fuel card? In just two months, more than 1000 Porsche Club GB members have already applied for their Esso Card™ fuel card. Here are just some of the reasons why. Free card: an Esso Card™ fuel card usually costs users £24 per year, per card. 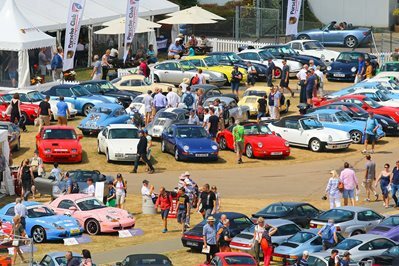 However, through Porsche Club GB’s partnership with Esso Card™, cards are free. Save across Europe: Esso Card™ fuel card holders can also secure great prices when travelling abroad. For both diesel and unleaded, you’ll be able to save 2 cents per litre on Esso Synergy Supreme+ fuels and 1 cent per litre on Esso Synergy standard fuels. Engine care- As well as having a higher octane, Esso’s Synergy Supreme+ Unleaded fuel has extra additives that can benefit all petrol cars, even older ones – making it Esso’s best ever protection for your engine**. - The extra detergent that Esso adds to its Synergy Supreme+ Diesel gives it a much higher cleaning power compared with Esso’s regular diesel and is designed to give you more power and fuel economy. Not only does it give you better performance, it’s also Esso’s best protection for your engine**. Tesco Clubcard: collect Tesco Clubcard points every time you fill up at Esso fuel stations across the UK so you can treat yourself, as well as your car. Extensive network: Esso Card™ fuel cards are accepted across Esso’s expanding network of 1290 fuel stations throughout the UK. Furthermore, your card can also be used abroad, with the same great savings, at 12,000+ locations across eight countries, including Germany, France and Italy. Further savings available: there are three Esso Card™ fuel cards available for every household, so the family can save with other vehicles too. Region 8 member Steve James loves his 19-year-old Porsche Boxster. He cheerfully admits it’s old and could probably do with a rebuild, but that hasn’t stopped him using it as his daily driver since he bought it in 2013. In that time, he has clocked up some 70,000 miles, more than doubling what it had done in the previous 13 years, for business, social and pleasure purposes and uses a tankful of petrol a week. Club’s earliest card recruits, using it for the first time on 1 December. A week or so later, he attended A Porsche Christmas at Bicester Heritage, which gave him a useful opportunity to source specialist advice from an Exxon Synergy Fuel expert that included discussing octane-related issues. Now, some three months of membership in, Steve is a happy customer. His Boxster had had a long-standing problem with what he describes as “erratic idling”, which led to regular revving when waiting at traffic lights, for example. The exclusive PCGB-branded Esso Card™ is available now. Apply online HERE or call 01270 531992 quoting ‘Porsche’ for more details.